Here in the Philippines, a lot of people get tricked in purchasing fake, illegitimate, and counterfeit products. A majority of Filipinos are not aware of how the market has changed and is changing and, therefore, continue to allow these fake products to rule over them. Some of you might think of this as harmful but the Department of Trade and Industry (DTI), thinks otherwise. Apparently, they will be releasing new Import Commodity Clearance (ICC) stickers which will protect everyone from buying fake products. Have you heard of the news about our dear President Duterte signing the Child Safety in Motor Vehicles? Well, this specific law will require vehicle owners to have cutting-edge and safe technology in the event that they will allow children under twelve (12) years old to sit in front of a motor vehicle. As per the DTI and the DOTr, they will be observant in checking the equipment and make sure that they will contain appropriate and legitimate ICC stickers. Why would knowing if a certain product is fake important? Other than the fact that it might be dysfunctional, it can also cause accidents like fires. The agency made a mention that these materials or products, which may contain substandard materials, can cause major catastrophic events and add up to the problems our country is now facing. These are just some of the most common products that can be counterfeited. These are dangerous because they can appear legitimate and genuine because there are ICC stickers that are fake. So, the DTI will be working twice as much to avoid this from happening. As a matter of fact, some of these products even have the DTI logo on them; which can make more people believe that the product they are about to purchase is legitimate. What are ICC stickers for? Import Commodity Clearance (ICC) stickers are key distinctions whether or not a certain product is safe for use. These ICC stickers are seals that the DTI grants products that can be used by consumers. They’re seals and is attached to imported products which are approved by the Philippines’ product safety standards. IMPORTANT NOTE: One of the things you can look for if you are in doubt with a certain product is its Product Safety (PS) mark. This mark would mean that a certain product is good and that the manufacturer is registered with the DTI. 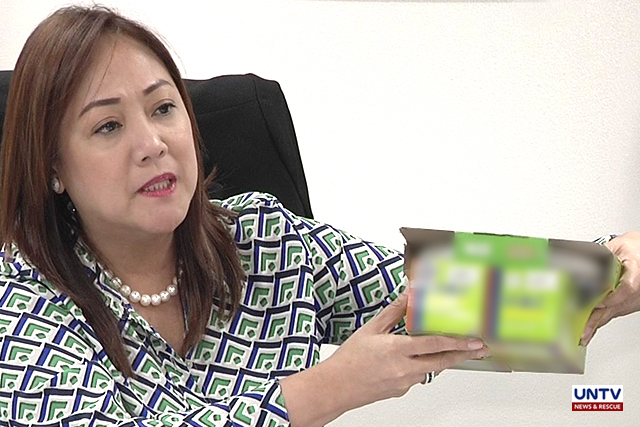 Ruth Castelo, Department of Trade and Industry’s UnderSecretary, says that there are a couple of ways in identifying if the ICC sticker is genuine. The DTI innovated in assisting consumers in identifying certain products’ legitimacy. There will be additional features on the stickers which shall allow consumers to easily distinguish fake stickers easily. Read: You Got Scammed – What Do You Do And How Do You Report Scams? As of the moment, the agency agreed to not show the full feature of the stickers because forgers can have an idea and counterfeit the new stickers, too. This is imperative because as per Castelo, counterfeit light bulbs can easily cause fire because of low-quality materials and substandard ingredients. People won’t know the difference especially if they’re not keen on checking the ICC stickers attached to these products. Although fake products are cheap, it’s not really practical to purchase. Other than the fact that they can cause dangerous occurrences, they’re also not durable compared to original products. Castelo continues to stress on the fact that even though mock products are inexpensive, they can cause disasters that could endanger thousands of lives. Seriously speaking, what the DTI is saying is legitimate and can reflect to anyone. How? According to National Capital Region (NCR) fire officials, fire incidents were increased by a mere 4.64% because of poor electrical connections. Read: Where can You Complain About a Specific Business? This figure only accounts from January to March 15 of this year in comparison to last year’s data. So, if you try to think of it, purchasing counterfeit products are not really worth it. As a matter of fact, it might just be better if you purchase original products that would last until its original maturity and will not cause catastrophic events.